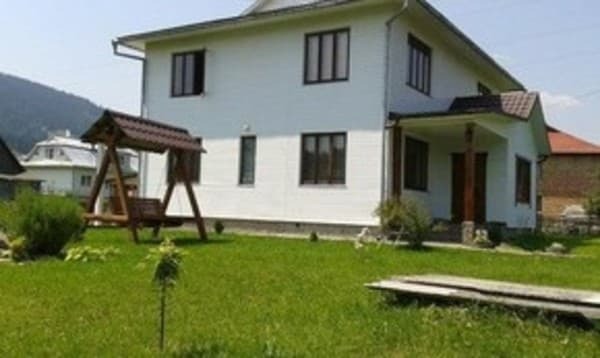 Private Estate "Zelenі Karpati" two-storey house for 8 persons. On the 1st floor - kitchen, living room, room owners. On the 2nd floor - 4 double rooms (double bed, TV, wardrobe, one - corner sofa), bathroom (bath, shower, sink and toilet). Water: cold and hot water (boiler 200 L). Heating: hot water. Also on the estate "Zelenі Karpati" there are barbecue facilities and a gazebo where you can enjoy a delicious barbecue. 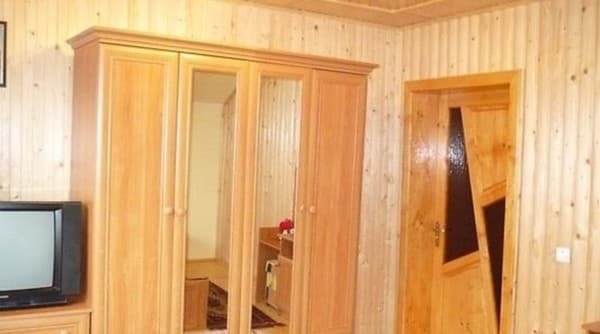 Here every tourist will offer hiking, fishing, and after a busy it is possible to use the sauna facilities. To the nearest shop - 30 m, Koliba - 700m, restaurant - 1,5 km. To the lift in Vehovine - 400 m. Prices may have changed, the need to clarify information from the operator! 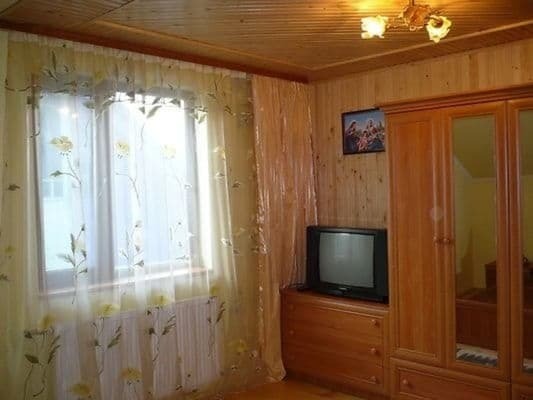 Description of the room: The room is equipped with everything necessary for comfortable living - a double bed, a TV, a wardrobe, one - a folding corner, a separate bathroom (bath, shower, washbasin and toilet). Extra bed - 50% of the cost of living. Manor is 2 km from the center Verhovina settlement near the road P-24. The nearest shop "Prolisok" - 30 m, Koliba - 700 m, the restaurant "Ukraїnochka" - 1.5 km. To the lift in Verkhovyna - 400 m.
To Verkhovyna by bus from Ivano-Frankivsk, to go out in the center, then take a taxi or the owners will meet you at your car. Car on the highway H-09 through Ivano-Francovsk to Tatarova. In with. 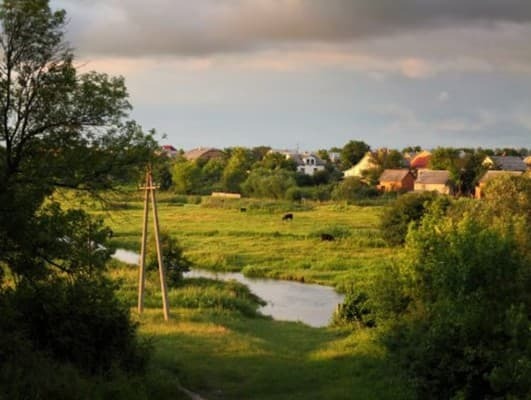 Tatarov rotate the pointer to Kosov (P-24 circuit), go to the end of the village. Verhoviny (the house is on the left of the road).